Minimum order of 16 day old chicks please, you can mix the order with other breeds. If you would like fewer than 16 please contact us for information.﻿ All chicks are sold straight run. 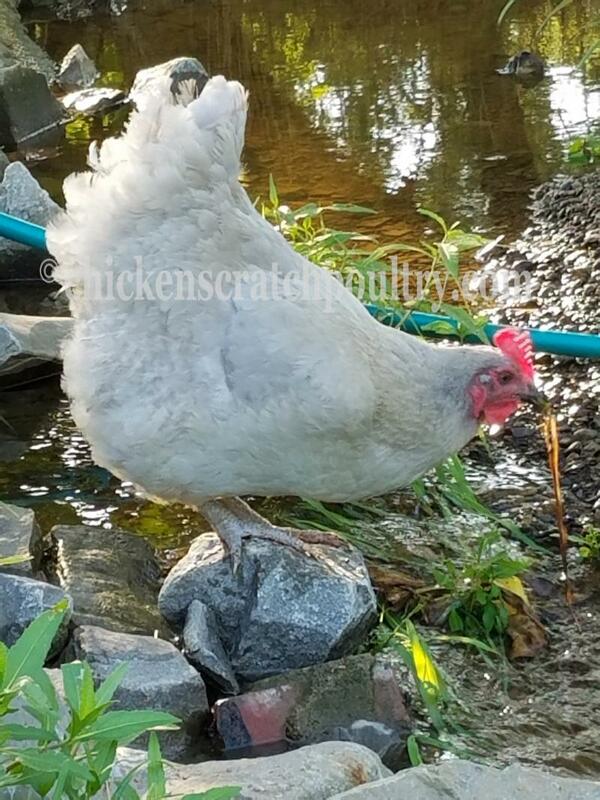 To place a hatching egg, or started pullet order go to "contact Us" page and leave a message. Minimum order of 16 chicks please, you can mix the order with other breeds. This is 9 year old Addison with her Chicken Scratch Poultry rooster named Blue. He took Grand Champion at the winter fair in Bozeman, MT. Thanks for sharing with us Addison! Our Lavender Orpingtons are from the Hink-JC blood line. The Lavender Orpington gene is different from the blue genetics in that it will produce consistant lavender color in all the offspring. The Lavender Orpington is a large, docile, friendly bird that make great backyard chickens. Our Lavender Orpingtons are American not English. The Lavender Orpington is a good dule purpose bird and a very good layer of a pink egg. 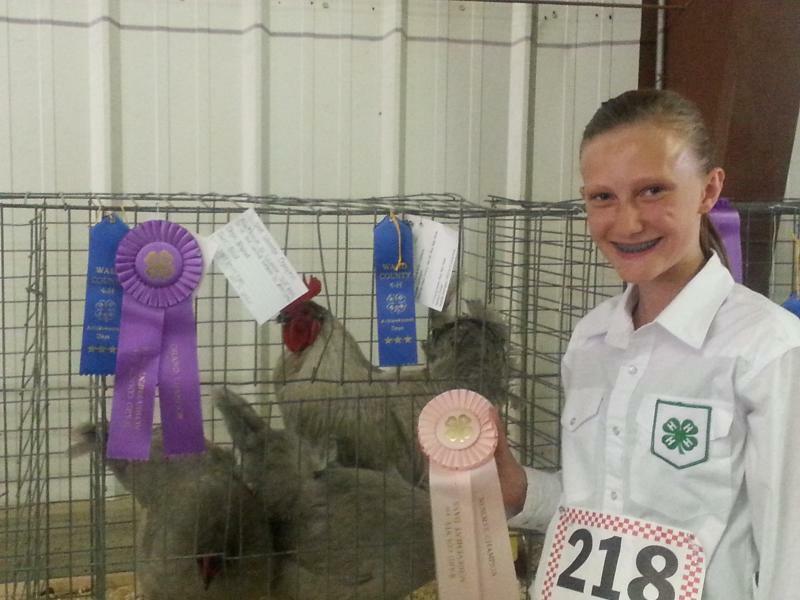 This is Madison Cooper with her Chicken Scratch Poultry Lavender Orpingtons. She won Reserve Champion with her beautiful Trio. 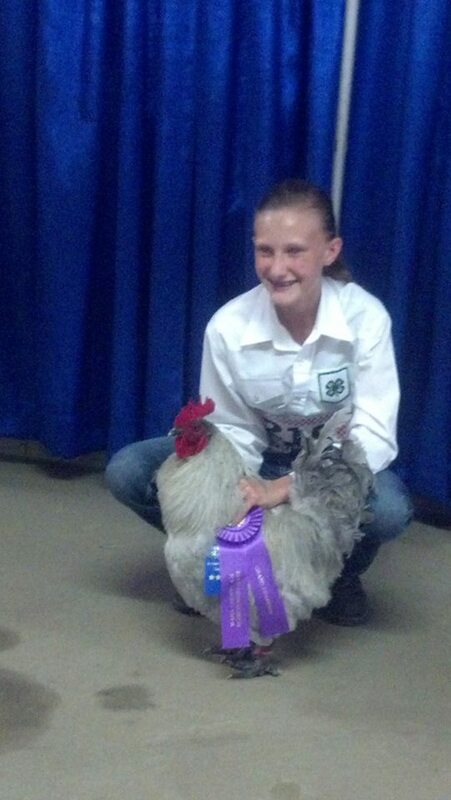 Madison won Grand Champion with her Chicken Scratch Poultry Cockrel Charlie. Way to go Madison! !